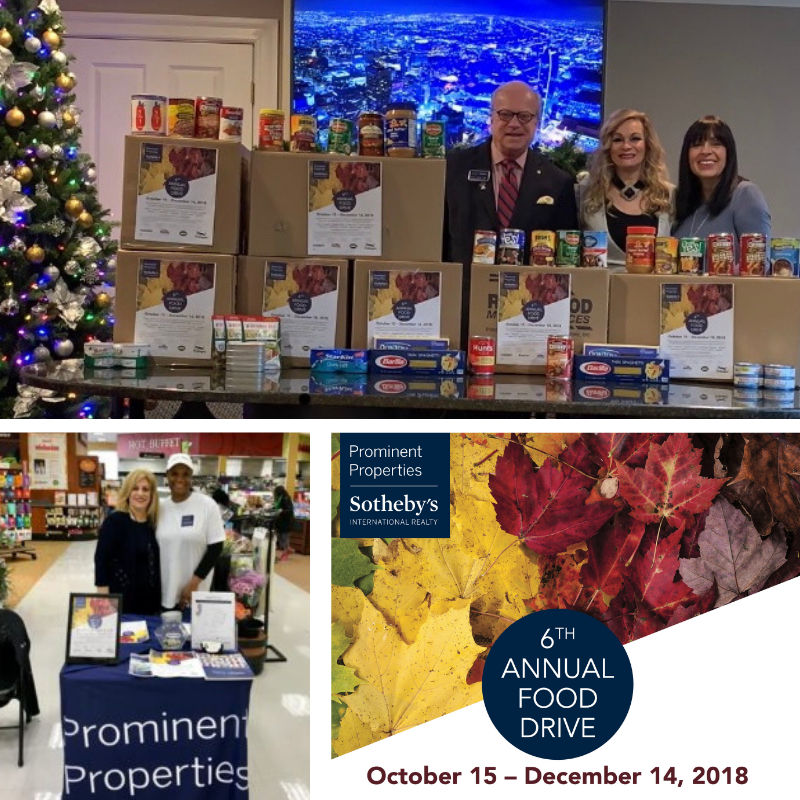 For the past five years, Prominent Properties Sotheby’s International Realty has successfully partnered with Move For Hunger, a national non-profit organization, and has once again participated this year. 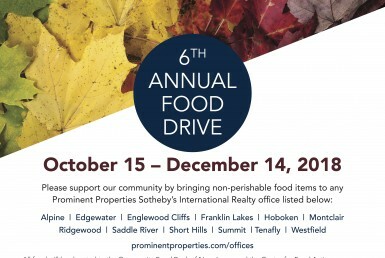 From October 15th through December 14, 2018, non-perishable food items were collected at each of the 12 Prominent Properties Sotheby’s International Realty offices located throughout Northern and Central New Jersey. According to Center for Food Action, in 2016, one in ten New Jersey residents, or more than 919,000 people, were food insecure, suffering from an inadequate and inconsistent supply of food. 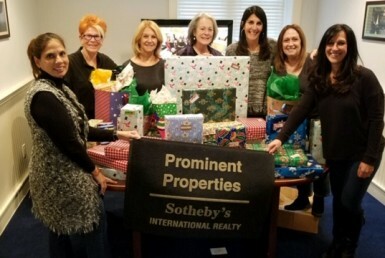 This year, Prominent Properties Sotheby’s International Realty’s offices collected more than 2,700 lbs. of food — enough to provide 2,250 meals. Since 2013, Prominent Properties Sotheby’s International Realty has donated more than 73,000 lbs. of non-perishables to their local food bank, providing nearly 60,190 meals to those in need. 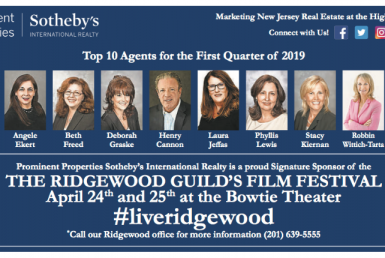 When the drive concluded, food donations were generously picked up and delivered by several participating companies including Ridgewood Moving Services, All Seasons Movers, Inc., and Main Street Movers.